Vertrue distancing itself from loyalty marketing? Last week we looked at Webloyalty's steps to address the flood of consumer complaints that helped trigger a Senate Commerce Committee investigation in May. This week we'll look at Vertrue, subpoenaed by the committee in late July when it didn't comply with Sen. Jay Rockefeller's (D-W. Va.) request for internal documents. First thing a consumer needs to know about Vertrue are the names of its various loyalty and other marketing programs, in case you have a mystery credit card charge you're trying to track down. Good luck! You'll be dealing with Vertrue's Adaptive Marketing subsidiary. 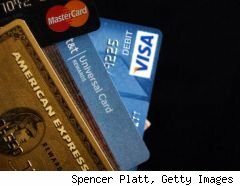 Frankly, you might want to consider grinding your credit card through the laundry a few times, then reporting it lost to get rid of recurring charges. Sure, your credit rating may take a hit, but that may be better than enduring the frustration of trying to get these charges removed. And it probably beats your chances of getting through to somebody at Vertrue's corporate Web site. There's no phone number posted, only an e-mail form -- which I tried, and got an automatic response saying someone would get back to me in 24 hours. They haven't. The site lists Vertrue's address as 20 Glover Ave., Norwalk, Conn., but when you try to plug that into Google, you get that address but a disconnected phone number. Try 411 for that address in Norwalk, and there isn't one -- you're given a Stamford number. Call it and you might get the same nice lady I did, who said she was actually in Norwalk, but answering a Stamford telephone number and didn't exactly know why. Vertrue's into a lot of other things besides the after-buy or "card-on-file" market. They own the dating service Lavalife, whose Canadian version has a so-so rating from its local Better Business Bureau (and does business as, among other things, Manline, Womanline.com, Night Exchange, Browse2CLICK, SpeedFlirts, Tx teasers and ChatParty). You may also have seen the recent ads for Vertrue's Freescore.com featuring Ben Stein, an endorsement that last month cost him his New York Times columnist gig. Freescore is yet another one of those credit report "services" that charge you -- monthly, to your credit card, of course -- for something you can get free at annualcreditreport.com. Vertrue changed its name from MemberWorks about five years ago. There's a good history of the company here. Not long afterward, a company called VistaPrint lost a class action in California prompted by complaints of deceptive advertising for "free" business cards. VistaPrint was a stock market darling a year or so ago, pumped up by dollars from Vertrue rewards program revenue. The VistaPrint and Vertrue alliance sparked a class action in Massachusetts alleging -- you guessed it -- unauthorized charges for Adaptive Marketing loyalty programs -- which VistaPrint apparently is still doing. That case got moved to Texas, though, and eventually dismissed, which, says Vertrue spokesman and general counsel George Thomas, makes a strong case for the Senate committee that the Adaptive's marketing practices are not deceptive. The case offers a "timely, thorough and unbiased judicial assessment of exactly the e-retail business practices that the U.S. Senate CommerceCommittee is probing," Thomas said in an e-mail exchange and phone interview. "...A highly respected jurist, who has served on the bench for over 15 years, tackles many of the same arguments that others appear to have made to the Committee." Further, says Thomas, Adaptive Marketing is only 25% of Vertrue's business, setting it apart from Webloyalty. What also sets its "card-on-file" business apart is the level of authentication used in transactions. The Texas court decision calls into question consumers' claims of being deceived, he said. "Despite the superficial appeal of such claims, [the judge] dismissed them all on their face as baseless and without merit. In doing so, the court found that Adaptive's webpages displayed information '...in a clear, prominent and conspicuous manner...[with] no contradictory messages, and some important disclosures are provided more than once.' "
Still, said Thomas, "we are always looking to improve." Next week, it's Affinion's turn, and we'll talk about what consumers should keep in mind about "after-buy" transactions and negative-option marketing.